Kicking back into the Frankly Thursday features this week we catch up with Spoke contributor, and shooter of the current issue's cover, Graeme Murray. Graeme has been involved in mountain biking in New Zealand for years, since back when if you had a bike then you raced it across all disciplines—uphill, downhill, XC and even trials. Graeme spent many a summer chasing National series glory and as a grom in the late '90s I remember him tearing it up on an old Mongoose DH bike which at the time was one of 'the' bikes to have. Over the years Graeme's focus has shifted from riding the bikes to shooting them on one of his many cameras, and in recent years widening his client base from work for the cycle industry to shooting for some big name clients around the world. If you pick up a travel mag, sports mag, food mag, or mountain bike mag chances are somewhere in there you'll see an image he's shot, either in a feature or an advert. How would you describe your job? Shooting images for clients all over the place. Fun, crazy , stress, creative, rewarding. First bike? My first rad bike was my HMX 500, my first real MTB was a GT Tequesta, toe straps and all. There have been a lot of bikes since then. Best thing about being a photographer? Meeting lots of talented people and getting to see some great places. Worst thing about being a photographer? The business side of it all, people stealing images and thinking it's their right to do so, also the amount of time spent behind a computer. What’s your favourite subject to shoot? Shooting talented people out in great locations doing awesome things. Highlights from you MTB ‘career’? All the great travel and places I have been because of mountain biking, all the cool people I have met. My racing days were a blast and traveling around the USA for 5months in an RV with my brother and two other mates following the race circuit and also finding and riding trails everywhere we went. Highlights from your photography ‘career’? Too many really! 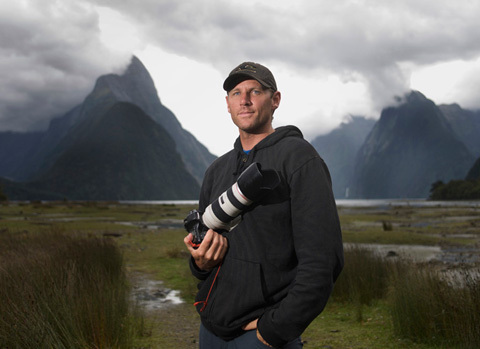 Shooting Shane McConkey, Chuck Berry and Miles Daisher BASE jumping/wingsuiting in Milford Sounds was amazing, also being the photographer on a world record wingsuit distance attempt in Alice Springs, Australia. Best spot in the world to ride? Colorado is amazing! So many good spots throughout the world though, the people who you are riding with also can make a trail so much fun. I have had some of the best days riding average trails because of the people riding with me. What can’t you travel without? A camera, iPhone and a cap. What can you not live without? Coffee! What motivates you to get out of bed and work each day? Just being able to shoot images for a living, I love taking photos. It's a rush getting killer images, also the ideas I have and then trying to create them for the clients. What’s wrong with mountain biking? The politics and people who want to control how others should ride, what to ride and where to ride. What’s right with mountain biking? The feeling you get from riding! How you can just get out in the forest and get away from all the pressures in life and have fun! Who do you look up to? All the talented photographers all over the world, also Gaz Sullivan, he shows me that there is no reason to be slowing down on the trails. What do you like best about living in Rotorua? 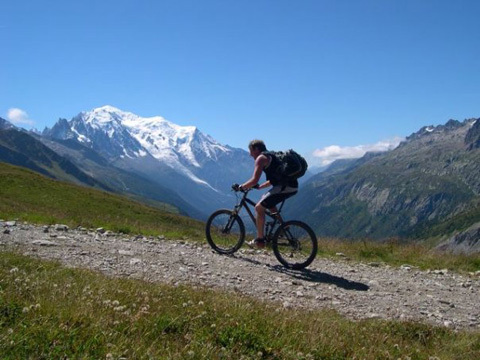 How easy it is to go mountain biking, a few minutes from home and you are riding singletrack, the central location to other areas in the central North Island, surf, mountains etc. What do you dislike about living in Rotorua? Hmmmm... it's still a small city. Favourite piece of bike or camera kit? My new Turner 5 spot! Sweet. I have too many bits of camera gear I like, my Canon 1d Mark 1V and also my Hassleblad film kit I still have, it's so cool! What are your vices? Coffee and chasing wind to get a kitesurf session. Tracking down photos of a photographer is tough work, so thanks to a Facebook raid we managed to come up with a few! Be sure to check out Graeme's website and keep an eye on what he's been up to on his blog.